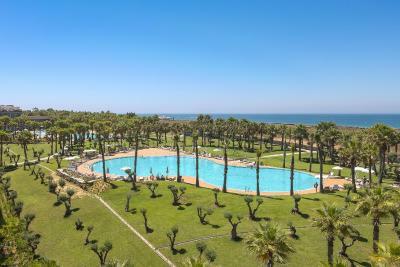 Lock in a great price for Salgados Dunas Suites – rated 8.4 by recent guests! The location, the size of our room, friendliness of the staff and the fact that is closer from a protected area, where the beaches are very nice. Also the food (especially the breakfast was quite good). Amazing breakfast, friendly staff, comfy bed, and super clean. The beach was a short walk away sandy and scenic. The location is away from Albufeira but short distance by taxi or car. Great hotel for couples and families. There are a lot of activities for kids. The 3 bedroom suite was beautiful. The staff was extremely friendly and accommodating! Beds and Pillows were really comfortable and the room was very clean and really well Air conditioned. The pool's were immaculate and there was an abundance of beds with plenty of space for all. The boardwalk to the beach is a lovely amenity and a really wonderful spot to take in the Sunset. It's a very nice resort, with excelent breakfast, easy access to the beach, complimentary towels, good parking lot! Staff are really helpful in general. We took about 2h30 from Lisbon airport to the resort by car. There was a wide variety of food to choose from. Great location. 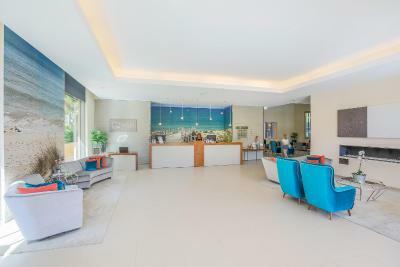 Salgados Dunas Suites This rating is a reflection of how the property compares to the industry standard when it comes to price, facilities and services available. It's based on a self-evaluation by the property. Use this rating to help choose your stay! 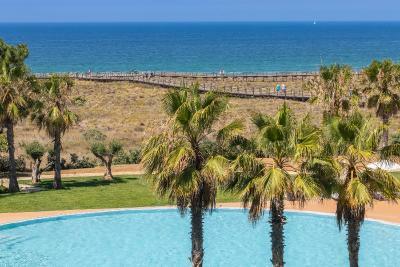 One of our top picks in Albufeira.The deluxe Salgados Dunas Suites is a 2-minute walk from Salgados Beach, through an exclusive pathway built over the dunes. The 5-star hotel has 6 outdoor swimming pools and modern rooms with panoramic views. The air-conditioned accommodations at the hotel features private bathrooms with hairdryer and free toiletries, flat-screen cable TV, mini-bar and a balcony. 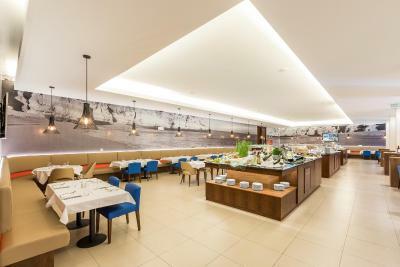 The hotel features an à la carte restaurant, where guests can enjoy traditional Portuguese dishes as well as international flavors. 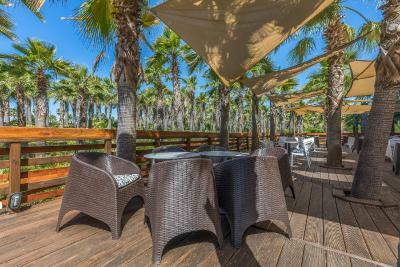 The restaurant includes a scenic terrace area. 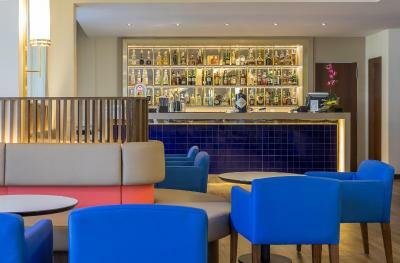 A lounge bar with a terrace is also available. 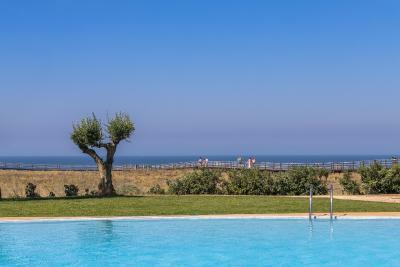 Following a dip in one of the swimming pools, guests can relax in the nearby sun loungers and enjoy the tranquil surroundings. 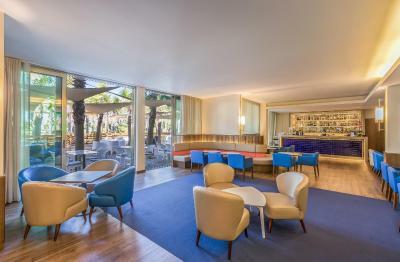 The poolside area overlooks the green garden and features a snack bar, where refreshing cocktails and light meals are served. Guests wishing to explore the area without their cars can do so by renting bicycles with the hotel’s 24-hour front desk. Seasonal entertainment programs and a seasonal Kids Club are a part of the hotel’s entertainment offers. Babysitting services are provided, at an extra fee. It is a 6-minute walk from the famed Salgados Golf, with its green 18-hole courses. 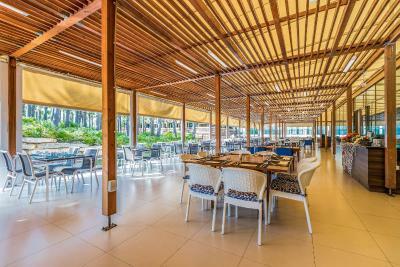 Salgados Dunas Suites is 3.7 mi away from Albufeira and its extensive beaches. 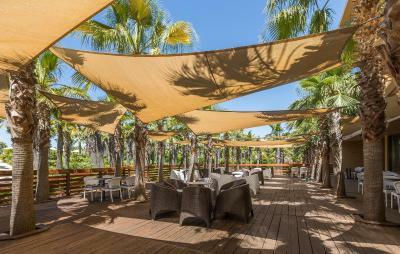 It is a 40-minute drive from the Faro International Airport and there is a shuttle service available, for a surcharge. 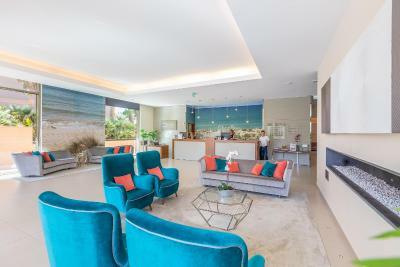 When would you like to stay at Salgados Dunas Suites? This modern room with contemporary décor includes a private bathroom and a flat-screen satellite TV. It also features a private balcony. Please note that this room cannot accommodate children. Modern room with contemporary décor. Includes a private bathroom and a flat-screen satellite TV. It also features a private balcony with a sea view. Modern room with a contemporary décor. Includes a private bathroom, sitting area with sofa and flat-screen satellite TV. It also features a private balcony. Please note that this room can accommodate 3 adults, or 2 adults + 2 children. Modern suite with a contemporary décor. It also features a private balcony with a sea view. Modern and spacious suite with a contemporary décor. Life is made up of vibrant, powerful, tasteful and important moments! These are the moments NAU wants to be a part of. Whether it’s in a room in one of our 10 hotels, one of our tables in our restaurants, a SPA or a golf course. It’s all here! 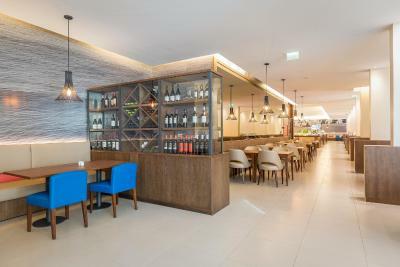 House Rules Salgados Dunas Suites takes special requests – add in the next step! Salgados Dunas Suites accepts these cards and reserves the right to temporarily hold an amount prior to arrival. Please note that the Kids Club is seasonal and is aimed at children from the ages of 3 to 12 years old. Seasonal Entertainment Programs are available. 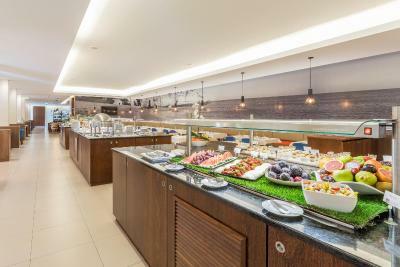 Also please note that breakfast in the room has an added surcharge of EUR 14 per person. Please note that during high season, guests are required to be identifiable by using a discrete bracelet provided by Salgados Dunas Suites. Guests booking on Non-Refundable Rates should inform Salgados Dunas Suites of their invoicing details (Name, Address and VAT number) at the time of booking. Please note that after the reservation, the property will contact the guests via email regarding the payment procedure. Please inform Salgados Dunas Suites of your expected arrival time in advance. You can use the Special Requests box when booking, or contact the property directly using the contact details in your confirmation. I don’t like the Twis beds, they move and makes separate at midnight when we are sleeping. My husband wake me up all night to move the beds together several times!! Another thinks is, the manage from the breakfast was no happy when we serve Prosecco, he was nervos with the other staffs and don’t treat the people nice. Nothing could have been better. All perfect! as the weather was not good There is lack of emtertainment. is missing an inside pool and a gym free of Charge. The hotel is good, rooms comfortable. Staff at check in very professional and friendly. Staff at breakfast friendly, great location, beautiful grounds. Large room. 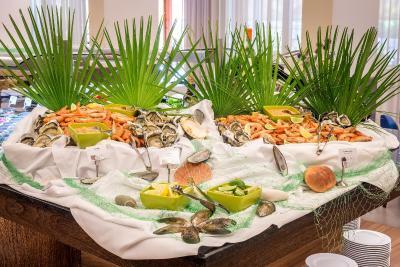 Tried evening buffet - not worth 30 Eur/p.p. excl. drinks. No WC next to the swimming pool, which was very inconvenient. Football field not accessible and kinder club was closed. No live music in the bar during the weekend evenings this year, something we really liked lasy year! As last year: a very good breakfast, quiet swimming pools, nice garden, good beds & daily cleaning service. Great location, with a walking distance to the beach. Good tennis facility. Beautiful place and fab apartment with a sea view. Approx 10min taxi ride to old town Albufeira. Breakfast was excellent. Plenty of pools on site and a beautiful walk down the boardwalk to the beach. Will definitely come back. The massages in the spa was not value for money because the therapists didn't do the massages good enough.None of us felt relaxed after our massages. 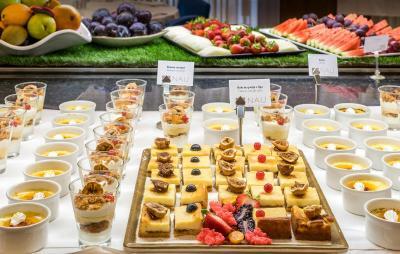 The breakfast was really tasty and the bar made really good cocktails.The suite was lovely and spacious,clean and tidy and the staff were really helpful. The bar in the hotel was too basic and wouldnt endear one to stay for awhile. Loved this place highly reccomend for a family ,it was clean spacious and comfortable. The bed is comfortable, and the linen and towels are changed regularly. The cleanliness in general is blameless. The breakfast is plentiful, and everyone finds their preferences. The staff is friendly and attentive. The park and the seaside location are superb. Cold in the room, noisy, the breakfast not even far for a 5 star hotel.